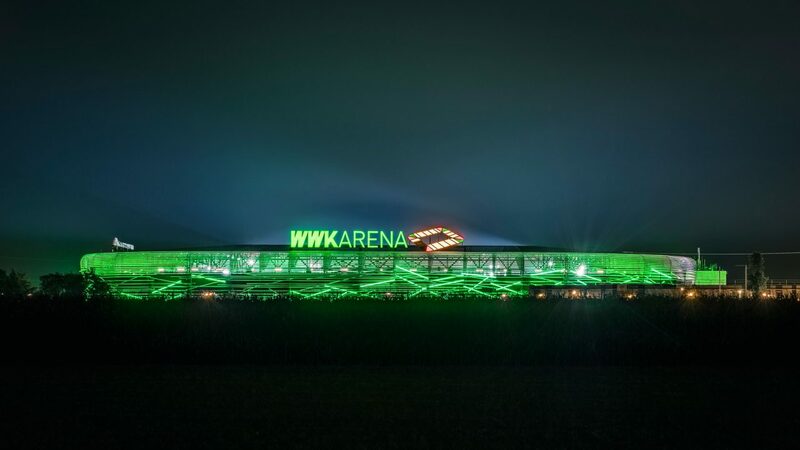 The city of Augsburg has boasted an additional highlight since August 2017, when the WWK Arena received its long-awaited facade just in time for the start of the new Bundesliga season. 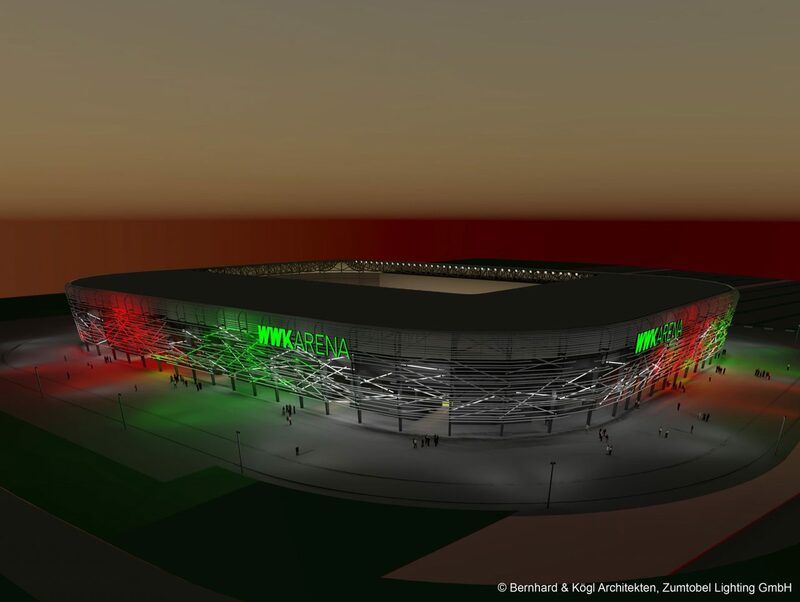 The FCA ground, which opened back in 2009, is visually enhanced by the new feature. The new facade consists of a mesh made of aluminum tubes which encase the arena like a cocoon on several levels from an approximate height of ten feet. 135 translucent plastic tubes fitted with LED light strips are woven into the mesh and illuminate the facade in the club colors of red, green and white. In total, 12 miles of aluminum tubes were incorporated into the facade design. The mesh of tubes was installed out of season between May and August 2017.